completed by Friday so as to enter it in Paint Party Friday. Paint Party Friday is great because there is no theme (other than painting). But I love the "anything goes" opportunity. 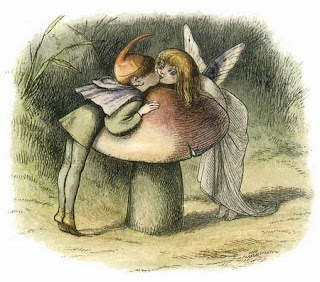 Richard Doyle's fairy paintings from 1870 or thereabouts. which I think could benefit from a little softening. but I realize I love it just as it is ~ so soft and whimsical. His style is so recognizable. 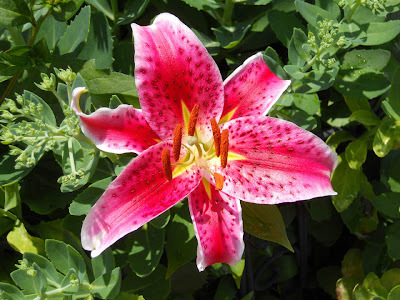 in my garden that I don't think I planted. but this and another one showed up in the back garden. Hmmm. Maybe they were planted by the fairies. It's been a very interesting summer in the garden. Some things I expected to do well were very poor. Other plants, like this calla lily were astonishing. 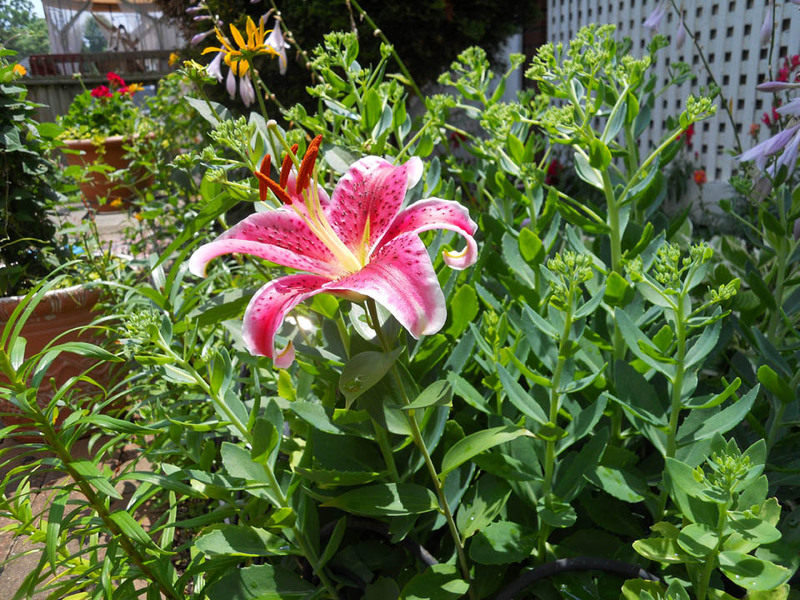 never gotten more than one or two blooms per summer. when it was at its peak...it only has a few blooms left in this photo. Don't forget to visit the Party! You did a magnificent interpretaion, so very charming and sweet!! 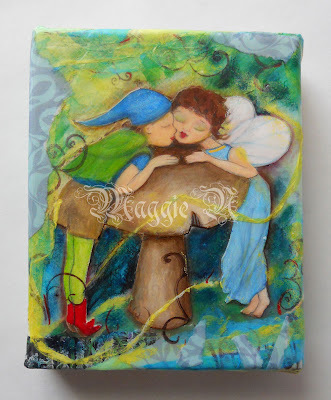 Your faeries are every bit as magical as Doyle's- I am loving ALL your new paintings! this is beautyiful,, truly a wonderful peice,, I like the color so much,, the bees wax will soften it I agree very messy,, love the smell though!! I love your fairies!! - Much more than Doyle's. Beautiful colours you chose! I love your fairies!!! 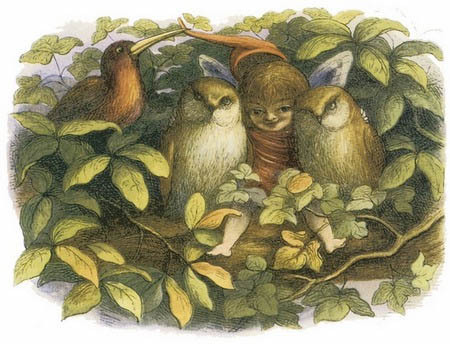 Also you must indeed have some fairies in your garden! Beautiful! Absolutely the sweetest fairy kiss, adorable, & I bet if you look hard enough you could almost see them in your beautiful garden ;) Happy PPF!!! What a sweet little painting. The flower images were pretty too. Wishing u a delightful PPF! That's so pretty Maggie!! My favourite part is actually the little red boots - I think that little splash of red just brings all the other colours alive! I have beeswax in the cupboard that I bought ages ago, is it very very scary to use?? oooo I love your fairies! Oh how I adore this! You did a lovely job! I think there may be faeries tending to your garden. 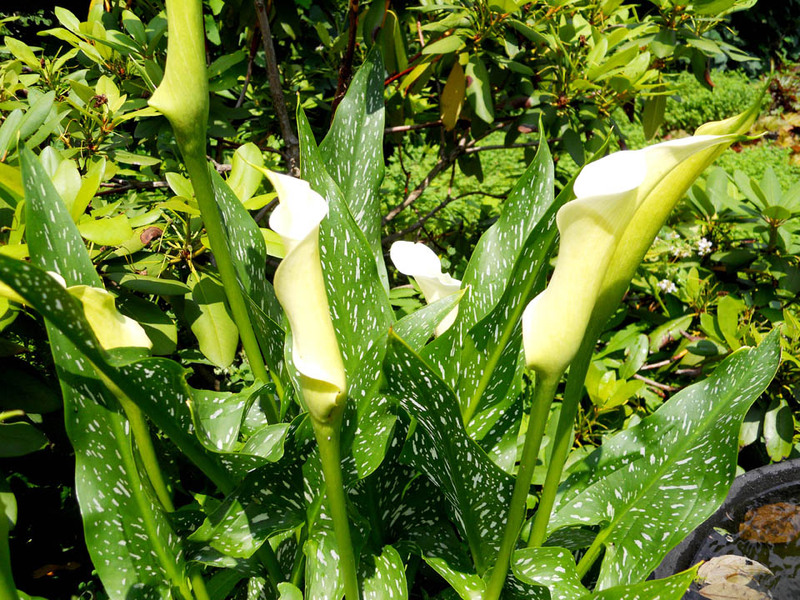 Aren't those lilies magnificent? Their fragrance is beautiful. p.s. 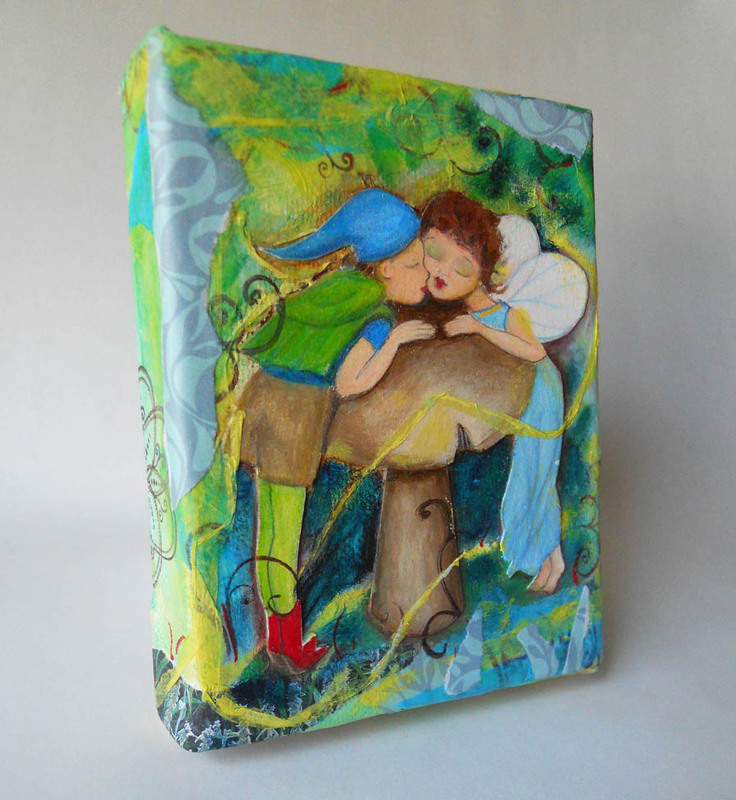 the bees wax will be the crowning touch to this whimsical work. Oh this is adorable!!! I love the fairies kissing, soooooo cute!! !Beautiful flower photos too! Love the fairy! Your colors are superior to Doyle's!